Audio specialist PURE has officially launched its latest in-car DAB radio adapter with the PURE Highway 300Di landing with a sub £200 price tag. 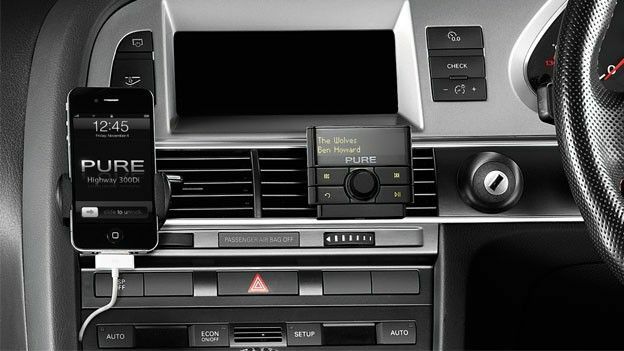 Allowing for high-performance digital radio within the car, PURE's latest Highway product boasts a glass mount external aerial with a removable OLED display packing controller unit allowing users to select digital radio stations and control their iPhone, iPod or iPad music collection remotely. The original PURE Highway accounts for 80 per cent of all aftermarket in-car digital radio. Available now exclusively through retailer Halfords in the UK the professionally fitted Highway 300Di features a compact interface box slotted and secured in a discrete location within the car. A PURE Highway 300Di UK price has been set at £179.99. Despite its market leading credentials the Highway's success could be short lived with industry experts suggest DAB radios will become a standard feature of all new production cars next year. “In-car entertainment has moved to the point where 2012 is probably going to be the year of the digital radio,” said Stuart Harris, the Head of Product Marketing at Vauxhall UK. “Whilst there's still a bit of lag with some manufacturers, including ourselves, digital radio is to be pretty much common on all new products in 2012." Are you interested in adding DAB connectivity to you vehicle? Let us know via the comments box below.